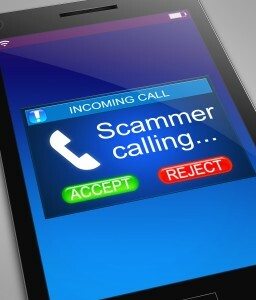 Ontario Provincial Police in North Bay is issuing a warning to residents in the north of the province about a public aware scam. The con sees fraudsters pose as a representative from the Canada Revenue Agency, with numerous examples of the scam reported so far. The so-called CRA scam is targeting vulnerable victims where criminals pose as the revenue agency and contacts victims via telephone, mail, text message or email. Through the communication, the caller pretends that the CRA needs important information such as credit card number, band account details, identification numbers, or social insurance number. Ontario police are warning that any caller pretending to be the CRA and asking for overly-personal information should be ignored and reported. If ever in doubt, do not respond to such calls and ask for information regarding the caller, or even call back the CRA to check the call was legitimate. OPP says the criminals apparently want identification and sometimes ask for customers to pay false outstanding taxes that need to be covered through a credit or debit card. Consumers are warned that the CRA would not demand such payments over the phone in this manner, so any calls demanding payment on the spot should be reported. Some victims report that the callers use excessive language to make customers think that they simply must pay the money or risk legal action or even prison.